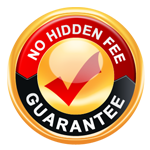 On this page you will need to click the links before to securely sign the required forms. When you click each link, you will be lead to a new page in SignNow. (Note: If the new page doesn’t open, your pop up blocker may be blocking it. Just hold the Ctrl key down while clicking on the link.) On the new page a window will appear, as per the example below. Just click the “Get Started” button to begin. If you have any problems, use the “Guide Me” button in the upper right corner. If you have any problems completing any form, please call us at (812) 303-6151 and tell a staff member which form(s) you have any questions about. Once you have complete each form, click the green “Done” button at the top right of the page. 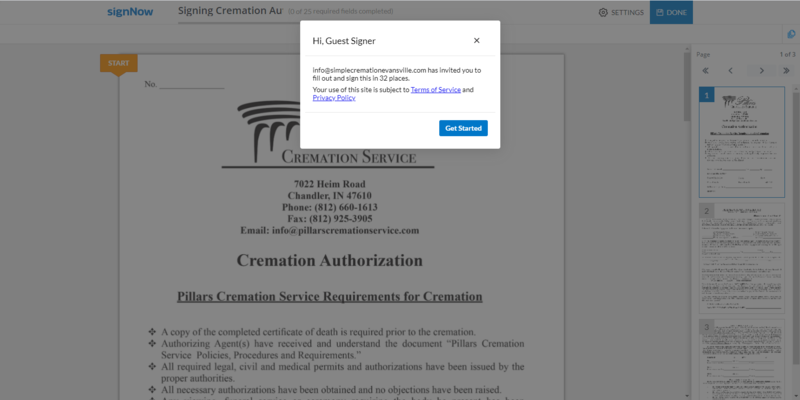 By signing below, I acknowledge that I have completed the forms above or that I will be required to do so at a later time, before the cremation process begins.